This week’s Community news includes the release of a financial book for children and a donation of 300 winter coats. 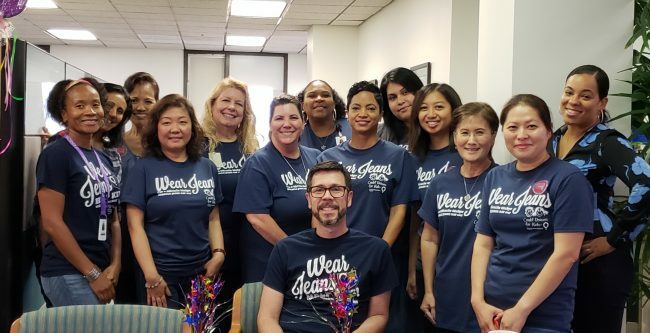 Employees from the $4.4 billion Kinecta Federal Credit Union in Manhattan Beach, Calif., celebrate National Miracle Jeans Day on Sept. 12 with department and branch potlucks. Kinecta employees celebrated during the entire month of September by hosting fun and informational activities to support Children’s Miracle Network Hospitals each Wednesday of the month. As a result, Kinecta’s campaign raised more than $11,600 for Children’s Miracle Network Hospitals.